Describe your role and what you do on a day-to-day basis. 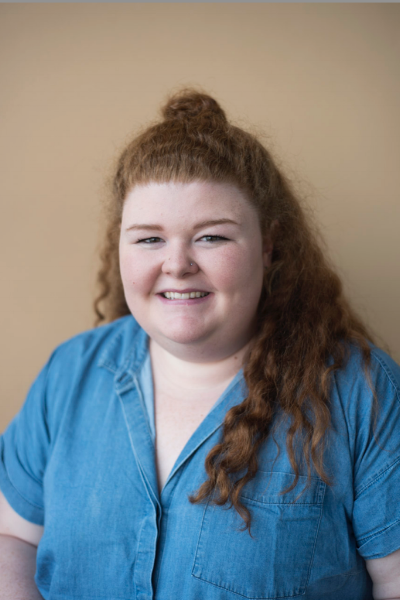 "As a peer minister intern, I manage the social media accounts for the office of Campus Ministry and create flyers and graphics to promote events and programs being run out of the office. I also assist with events and programs as needed. I come into the office, say hello to my supervisor, then get started on my projects for the day. I work for four hours per day and I have a list of goals for the day. Often, I have to collaborate with coworkers to make flyers and graphics, so I usually have at least one meeting per day." "I was very involved in Campus Ministry throughout the past few years and became close with one of the campus ministers who ended up being my supervisor. She saw a need for social media marketing in the office and offered me the job. I am the first person to hold this role." "I use my social media marketing skills, graphic design, copy editing, Adobe Creative Suite daily in this role." How did your SJU education prepare you for this opportunity? "My major in Communication Studies prepared me for this position because I learned everything I needed to know for the internship through my classes. The communications classes are all project-heavy and involve a lot of creativity, so they prepared me for this internship." What is some advice you would give to students who are searching for internships and jobs? "Always think about the things that you love to do that you consider to be hobbies as possible career paths. The things that you enjoy doing are an indicator of the type of work you should be doing. Pursue opportunities based on what you enjoy!"